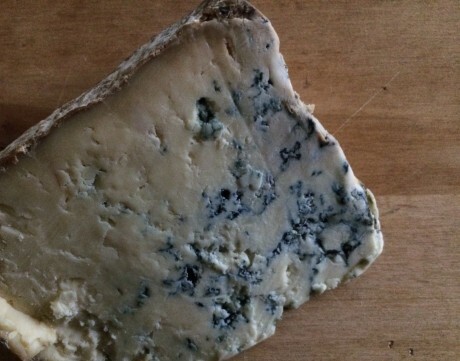 TRUE BLUE: COLSTON BASSETT STILTON | Jane Lear. Writing on Food and Travel. January is typically devoted to fresh starts. We all know people who have vowed this month to exercise more, eat or drink less, and otherwise curtail the excesses that began at Thanksgiving. If I had to settle on a single blue cheese for life, it would be that from Colston Bassett, one of England’s smallest Stilton producers. Made from local cows’ milk—the farms are all within 1½ miles of the dairy—the cheese is simultaneously creamy and crumbly, with veins of deepening rich color and lingering, mellow flavor that isn’t marred by harsh acidity or overwhelming saltiness. It is lovely creamed with a fork and served with celery sticks or silky endive leaves for an hors d’oeuvre, or crumbled over an watercress and pear salad for a first course. Made into Stilton Sauce (recipe below) and spooned over slices of beef tenderloin, it vaults a dinner party into the stratosphere. But it’s at its most assured at the end of a meal, with a glass of Tawny Port or a good red wine, and a firm-ripe pear or two. That’s when I renew my January vow, which is the same every year because I always fail miserably: Be kind, be kind, be kind. This is also delicious served over cauliflower, instead of Mornay sauce. 1. Stir together cheese and butter in a bowl until smooth. 2. Boil wine in a 1-quart saucepan until reduced to about 2 tablespoons, about 15 minutes. Add cream and boil until liquid is reduced by about half, about 8 minutes. 3. Reduce heat to moderately low and whisk in cheese mixture a little at a time, then whisk in parsley. The sauce, without the parsley, can be made 1 day ahead. Cool, covered with wax paper, then refrigerate, tightly covered. Reheat over moderately high heat, whisking constantly. Whisk in parsley.